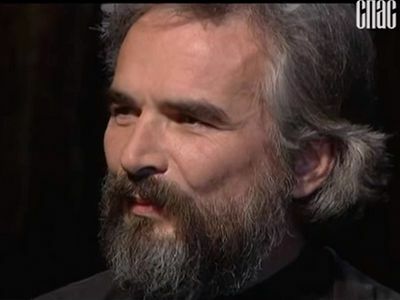 We continue to publish the materials of the Spas TV program My Path To God where Priest George Maximov interviews people who converted to Orthodoxy after searching for the truth for a long time. Today the guest of Father George’s program is Priest Sergius Labunsky. His adolescent interest in Medieval Europe initially led him to a Catholic church and even to a Catholic monastery, but eventually he found the path to the true Orthodox faith. In this interview, Father Sergius tells us about his journey to Orthodoxy and the things he could not find in Catholicism. We will also discuss the realities of modern Catholicism and the importance of Christian traditions that were practically abandoned by Catholics. Priest George Maximov: Hello. You are watching My Path To God. Today our guest is Father Sergius Labunsky from the Moscow Region. Father Sergius, please tell us how your journey to faith began? Priest Sergius Labunsky: Thank you, Father. After all my years as a member of the Church, I can look back and say that my path was thorny and winding. However, during this journey I got help from my kind ancestor Hieromartyr Theodor (Kryukov). He was my great-grandfather and I’m sure that he prayed for me and got me out of many life problems. I was born in a regular family of Soviet intellectuals. They were never interested in the Church and didn’t know anything about it. In general, they had a good regard for religion, but it was somewhere beyond the interests of my family. Father George: Did you know then that your ancestor was a priest? Father Sergius: Of course, when I grew up, they told me that we had a priest among our ancestors, but that was it. After I became a priest, I started looking for information and found many facts about my ancestor. The Smolensk Diocese is currently preparing his canonization. However, when I was a child, I didn’t know anything about him and basically I grew up knowing absolutely nothing about religion. My mother believed that you have to try many things in life and then make up your own mind. That was why they neither kept me away from the Church, nor nudged me toward it. It was probably the right thing for me, because knowing my rebellious nature, I’m sure that if they forced me to go to church, pray and fast, most likely I would not have become religious later. I was attracted by the mysteriousness of the Church and the fact that everything there seemed so strange to me. It was a totally different world with different people… Even the lighting there was different from the lighting in the street or in our apartment. Of course, I really liked it all. However, I had absolutely no interest in religion until I turned fourteen, although my grandmother regularly tried to take me to church. Well, by “regularly” I mean once a year in the best-case scenario. I even remember that she took me to the Church of All Saints in the Sokol District [of Moscow]. When I, a small boy, entered the church, its ambiance really amazed me. I really liked the dimly lit room with images of saints and many people standing quietly before a very dignified priest. However, these occasions were like rare ethereal episodes in my mundane routine. Little by little, they were filling my heart, but there were no results yet. Father George: You said that this continued until you were fourteen. What happened when you reached fourteen? Father Sergius: People of our age probably remember that in the 1990s they showed Highlander: The Series on TV. This may sound strange, but this show formed my two main interests in life. Firstly, mysticism and, secondly, history, as this show always had some episodes about the distant past. The second important aspect of my development as a Christian was the fact that I started… truanting school. To be honest, I didn’t like school and couldn’t establish a good rapport with my peers, so I simply started truanting. At first, I would ride buses because it was warm there, and I could sit quietly without being bothered. Then winter came and conductors started checking passengers’ tickets. Obviously, I was riding without tickets, so I thought, “Where can I sit in a warm dry place without being bothered by anybody?” And I had an idea: “I should go to the library!” So the last three years of school I was truanting in the library. Curiously, during those three years no librarian ever asked me what I was doing there, even though I was there during school time. Father George: Of course. Who would think that a truant would skip school to go to a library! (laughs). What helped me change this “anything goes” attitude was my love for the history of Europe that is inseparable from Christianity. Eventually, what helped me change this “anything goes” attitude was my love for history. I specifically loved the history of Medieval Europe that was inseparable from Christianity and Catholicism. This helped me make up my mind, prioritize my interests and unequivocally choose Christianity. However, I chose the Catholic version of Christianity, because I loved the history of Europe, rather than Russia or Greece. I had a fairly complicated spiritual situation, because I understood what I liked and where I wanted to be, but at the same time I knew that I was baptized into Orthodoxy when I was a child, so I considered myself Orthodox, even though I didn’t know anything about Orthodoxy or understand it. I felt awkward that being Orthodox, I wanted to be Catholic. I was sitting on the fence for about six months and then I made up my mind and went to a Catholic church. At first, I went to the Church of St. Louis in Moscow, then to the Catholic Cathedral of the Immaculate Conception. I got my first pleasant surprise there. As you know, organ music concerts are regularly held in that cathedral. It was a winter evening and it was already dark when I walked into the empty cathedral. I really liked those gothic vaults disappearing into the darkness and the sounds of organ (the organist was probably rehearsing for tomorrow’s concert). I sat on the bench and thought, “That’s it, I will never leave. I belong here.” After that, I found the strength to make the decisive step toward Catholicism. I became Catholic. It is quite a long story, for becoming Catholic here in Russia is not so easy. Later, I got interested in Catholicism not only as a certain philosophy of life, but I wanted to get a profound understanding of it and enter this mystical and amazing world. I wanted to become a Catholic priest. Father George: Didn’t the matter of celibacy bother you? My obedience in the Dominican Monastery consisted of lying on a cot in an orchard and eating apricots. Father Sergius: Not at all. Somehow, I accepted it for myself quite easily. I had a goal and was moving toward it. Since I always liked military monastic orders and the idea of being “kind but strong”, I found the Dominican Order, the only order existing at that time in Moscow, and started talking with the Dominicans, although I didn’t quite like them. I was yearning for something real, rather than a substitute. After talking to Father Alexander Khmelnitsky of the Dominican Order, I decided that I wanted to go to a Dominican monastery. He gave me a letter of reference and I went to Fastov, a city 60 km southwest of Kiev, where for a while I lived in the Dominican Monastery as a postulant or as we call it a “novitiate”. To be honest, this was the most pleasant obedience I ever had for I didn’t have to do anything. I simply lay on a cot in an orchard and ate apricots. That was it. Father George: Did you experience that profound understanding of the Catholic world that you yearned for? Father Sergius: Yes, because I got a closer look at the routine life of clergy and learned about the Catholic tradition. Although it was a modern Catholic tradition. We should clearly understand the difference between the Catholic tradition before the Second Vatican Council and the neo-tradition that was formed after this council, for this important historic milestone drastically changed Catholicism. My interest in Catholicism began to fade away after I went with a group of Catholics on a pilgrimage to the icon of Our Lady of Częstochowa. After the mass, they would move the benches out of the way, turn some light music on and start… dancing. Father George: Right there in the church? Father Sergius: Yes, right there in the church. I was shocked. When this happened in neo-constructivist churches, I tolerated it, but when they had the nerve to do the same in a twelfth century church with the Roman foundation and the Gothic roof, a building with such an ancient history… this really made me squirm and I ran away from the church vowing never to return. My friend ran after me and managed to calm me down somehow, but it was the beginning of an end of my Catholicism. From that moment on, rather than looking at Catholicism through rose-colored glasses or through the prism of my love for the Middle Ages, I started to see what Catholicism actually was. The Catholic Church today is a church of triumphant renovationism, where many traditions have been abandoned and forgotten. Many things that were considered valuable for twenty centuries were declared simply unnecessary in in the late twentieth and early twenty-first centuries. In particular, one of the monstrous spiritual disasters of Catholicism was the Second Vatican Council that radically reformed all Catholicism in a Protestant way. It was quite normal for Catholic pilgrims to put their backpacks on the altar in the church. Unfortunately, this, first of all, affected the piety of the believers. For example, it was quite normal for the Catholic pilgrims to leave their backpacks on the altar. I can’t imagine that happening in Orthodoxy. Our attitude toward the altar is so reverential, that even the priest wouldn’t dare to put his glasses or a prayer book on it. It is only for the things that should be there. Naturally, I was very upset by this disregard for their own traditions and their antipathy toward the ancient things that I truly loved in Catholicism. Father George: It is strange to hear this about Poland, because Poland has an established reputation of a country that tries to preserve the traditions of Catholicism and keep them more or less alive compared to such Catholic countries as, for example, Austria. Father Sergius: Indeed, this made my concern even greater, for if things like that were happening in Poland, what would be happening in France, Austria and other countries?! I started to understand that the only path for me was back to Orthodoxy, because the continuity of traditions was so important for me. Correct understanding of Christianity is impossible without the living tradition. Our experience of having the Church for 2,000 years is the greatest treasure that we have. It pains me a lot when such traditions are rejected, denied or even downright discarded. That was how I unequivocally made up my mind to return to Orthodoxy. I should say that at that time a lot of my actions were based on my emotions and I wasn’t too much concerned with dogmatic theology, simply because I didn’t understand it well enough to take into account the issues of Filoque or papal primacy. My actions were mainly based on my personal feelings, my impressions of Catholicism and the fact that I couldn’t find the things I initially yearned for. Later, after I left the Dominican Monastery, I fell into some kind of spiritual vacuum, because I had already left Catholicism, but had not yet reached Orthodoxy. Father Sergius: Exactly. It was edited by His Holiness Patriarch Tikhon and that is why it is called St. Tikhon’s Liturgy. Some parishes use traditional pre-reform Roman Rites, the so-called Tridentine Mass. Anyway, I met these nice people who were very interested in it and, in essence, they helped me to convert to Orthodoxy. The initial goal of the person who was into all this was to convert people from Catholicism to Orthodoxy. He gave Catholics the opportunity to get to know Orthodoxy through the media that were close and understandable to them. After talking to this man, I indeed got a deeper understanding of Orthodoxy. He told me, “You should definitely attend the services at Sretensky Monastery”, so I went to the all-night vigil. It was long and confusing, but nevertheless interesting. Step by step, I got used to the Eastern Rites. It led me to genuine Orthodoxy, Eastern Orthodoxy. Feeling the true spiritual hunger and the need to be a part of a real Orthodox community, I went to the closest church. It was St. Nikolas church in Klenniki on Maroseyka street. That was where I entered Church life and started my normal spiritual life. I remember confessing to a priest there, who put aside all his affairs and listened to me for two and a half hours. He gave me absolution and basically welcomed me to Orthodoxy through my repentance, and only after that did he go on with his business. This made me feel warm at heart and I was happily going to that parish from that time on. That was where I started to enter Church life and learn more about Orthodoxy. I no longer wanted something unique, something extraordinary. My wish to shock the public was gone with my teenage years. Now I wanted something real, something that I could use as a reliable foundation for my future. At that time, I was working as a web-designer and 3D-visualizer. I was very busy and had a pretty good salary. This sharp turn when I quit a decent job and started working as a watchman in the church was a shock to my non-religious family. After a year had passed, our priest Alexander Kulikov, at a meeting of the clergy of our church, made the decision to approve my application to seminary. I was sent to St. Nicholas Seminary in Pererva. Father George: Father, I want to ask you a question that I’m sure some of our viewers, especially Catholics, would like to ask. They would say, “So this man saw the seamy side of Catholic life, got disillusioned and converted to Orthodoxy. Are all Orthodox people saints? Aren’t there Orthodox people who sin? Of course, there are. So why doesn’t it make you quit Orthodoxy, if similar things made you quit Catholicism?” Let’s clarify that. The problem wasn’t just with your fellow pilgrims’ behavior, was it? I think that there were some systemic issues. Am I right? Nowadays, certain steps toward traditions in Catholicism are made purely out of modernistic reasons, for the sake of absolute acceptance of everything. Father Sergius: Yes, of course. Initially, it was my love for traditions that led me to Catholicism. However, I found that the traditions weren’t observed and that there was no respect for ancient Catholic traditions. This made me cringe and eventually drove me away from Catholicism. Later, during the papacy of Pope Benedict XVI, there were some indications of returning to roots and traditions. During the papacy of Pope John Paul II, when I was a Catholic, some attempts were also made to reestablish traditions. However, I understood that even those steps toward traditions were made purely out of modernistic reasons, for the sake of absolute acceptance of everything. In a way, they just wanted to say, “We have these old-timer dinosaurs, so let them be. In the meantime we will keep on drumming tam-tams during the mass…” I saw with my own eyes that during a mass of some African community, the people were standing in a circle around the altar and drumming on tam-tams while the priest was performing the rites. This absolute acceptance of everything made me cringe even more than the things I saw in Poland. I didn’t see the true return to traditions in the modern Catholicism. Whatever steps made in that direction are made purely because of modernistic views. However, I found traditions in Orthodoxy where they are still steadfastly maintained. Father George: Based on your story one might think that the matter of dogmatic theology didn’t interest you at all. However, you mentioned that it was only in a certain period. Did you study the differences between Catholicism and Orthodoxy later? Developments that took place after the schism in the second millennium are more important for Catholics than their ancient legacy. Father Sergius: Yes, of course, but we were talking about a person’s journey to Christ and Orthodoxy. When you talk about it, you shouldn’t expect that a person would have all the knowledge and understanding from the very beginning. I admit that the very beginning of my journey was emotional and I made many decisions based on my emotions rather than reasoning. Of course, knowledge came later and now I can analyze my former spiritual quests. At that time, I couldn’t formulate them for myself, and that was why the dogmatic theology was not the most important issue for me. I knew about it, of course; I knew about the Filoque and other nuances of Catholicism. However, it was a kind of sideline for me and I didn’t delve into it too deeply. After converting to Orthodoxy, I started studying my beloved tradition much more intensely and immersed myself in it with great pleasure. Now the dogmatic issues became more important, and since I already had more knowledge and experience, I figured things out for myself and clearly understood the correctness of Orthodoxy. It has always been based on the decisions of the seven Ecumenical Councils and on the teachings of the apostles, apostolic fathers and other holy fathers who lived in the first millennium. Unfortunately, modern Catholics do not have that. That is, they do have it, but the developments that took place after the schism in the second millennium are much more important for them. Father George: I understand that very well, because when I was in Italy, I went to the Apostle Peter’s Cathedral in Rome. They have relics of great saints there, including John Chrysostom, Leo the Great, and Gregory the Dialogist; but there were no people near them. However, there was a long line of pilgrims near the body of Francis of Assisi. For me, this was a clear indication that even the great legacy from ancient Christian times that Catholics actually have is not important for them. Thank you, Father, for your story. I hope to God that all those standing on the crossroads today wishing to find the true Christian tradition would find it with God’s help as you did. Father Thomas, a German raised as Lutheran, converted to Orthodoxy from Catholicism. He will tell us about the driving force behind his spiritual quests and the importance of dedicated insistence upon the Truth. We will also learn the answers to such questions as “Should we say in conversations with members of other denominations that their teachings are heretical?” and “What should our attitude be toward the Branch Theory?” No Longer the House of God. New Life of Italian Churches (+Photos) No Longer the House of God. 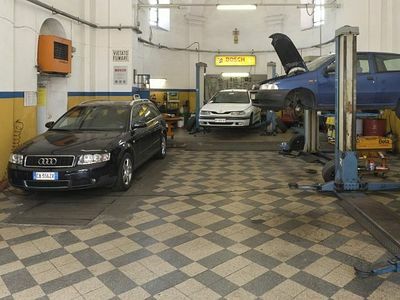 There is now an auto-repair shop in the former church in the Como community on lake Como. The former San Filippo Church in the commune L’Aquila is now used as a theatre. In the former All Saints Church in Viareggio, where sermons on morals were once delivered, now people treat themselves to wine: the new owners have opened a pizzeria in the building. What the article describe is pale in comparison with what is actually going in the RCC. Does a "satanic priest" in Orthodoxy (??) describes what the Catholic Orthodox Church represents, in terms of Tradition, & conservation of the Faith? Thank you for sharing such a illustrative story of conversion that tells one the struggles to reach the Ancient Faith. His path, by the way is similar to mine. @Milomir. Greetings of the day! Rejoice! And many, many thanks for taking the time out to spew your senseless garbage. Why on earth would an Orthodox Christian website need to print articles about malcontents intent on selling their souls to satan? This is about rejoicing at the salvation of those who earnestly seek Truth Himself in His Body. Hope this clarifies things for you. And again I say Rejoice! Milomoir, I have read a couple of interviews with priests who converted to Islam. Believe me, nothing good goes on these people's mind. It's pitiful to see how they blame everyone and everything. Lord, have mercy on them and save us sinners. This is great, how about some objective coverage to the Russian priest who converted to satanic Islam? How about converts to Jehovah's Witness ( an Arian sect)?